Hi Friends! Happy Monday! My weekend was lots of fun. We finished up some performances for work in Richmond, and had a ‘Bae Day’ celebration with our friends. And in case you were wondering… Bae Day = Valentine’s Day, but celebrated at any time. I am following along with the 52 Week Blogger Challenge prompts that Sarah EmilyBlogs and Girl Talk Blog are hosting. 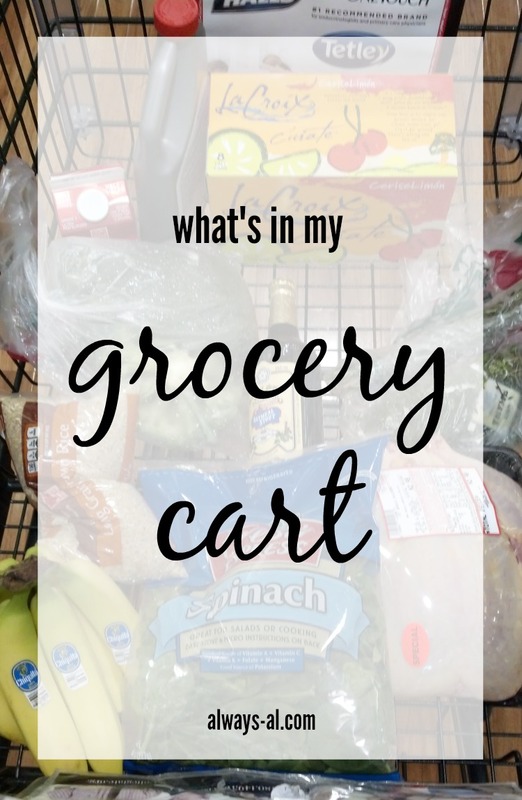 Today’s prompt is: what’s in my grocery cart. We usually “meal plan” only for the week ahead. When I say meal plan, this is a very loose system. If we want to just eat a cheese plate for dinner one night, we totally do that. Also, we make a good bunch of the food ahead of time, so that everything is pre-portioned and ready to take to work. If we eat at home, I usually re-heat things in the oven. Because it is just the two of us, we usually only make 2-3 meals each week, then eat the leftovers. This week turned out to be a particularly healthy trip to the grocery store (it’s probably because I wasn’t there…). But this is actually a good example of the stuff we get every week. The basics, so to say. 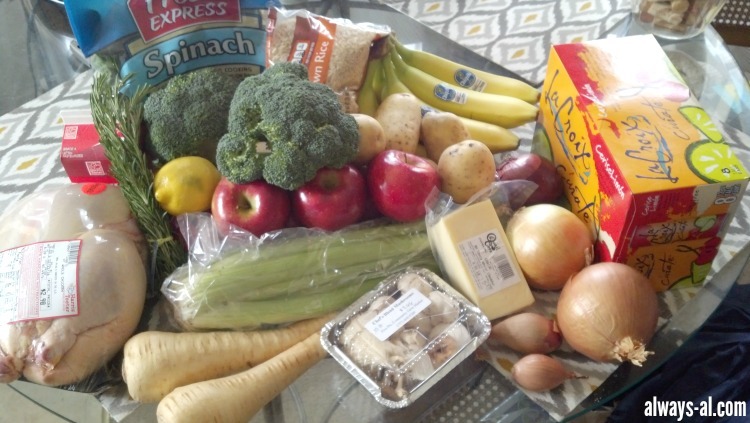 Dave shopped at Harris Teeter, and our local farmer’s market. Last night Dave roasted the chicken and made Chicken Noodle Soup. I am planning to stick some of those mushrooms on a salad for lunch! Now that I’m done writing this, I realize how I pretty much have nothing to do with cooking meals or even really planning them. I really don’t like to cook that much and see it as a chore, but Dave loves it. This is one example of how we work as a team to get everything done. Make sure to stop by tomorrow for a special announcement! !